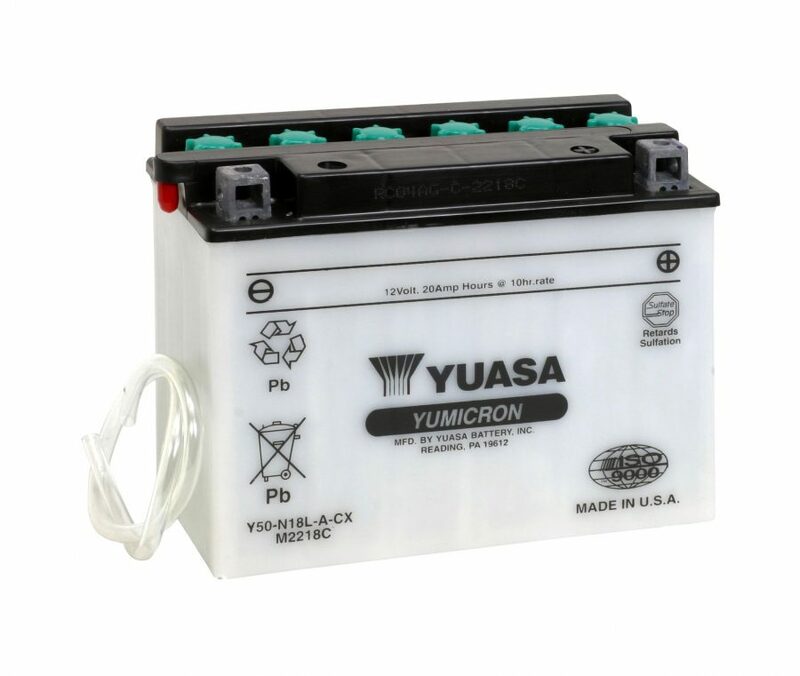 If high power is top priority in a replacement battery, look to Yuasa’s High Performance Maintenance Free batteries. All the features of a standard maintenance free plus increased power. Up to 30% more cranking amps. Thanks to a radial grid design and additional plates. Designed and constructed to meet the special needs of newly developed start-stop systems in motorcycles and scooters. VRLA (Valve Regulated Lead Acid) means a battery that’s perfect for people who have better things to do than battery maintenance! The permanently sealed VRLA battery never needs refilling; however, it still needs periodic charging. For increased power, less maintenance and longer life, YuMicron CX is the battery of choice. The first motorcycle battery built on lead-calcium technology, YuMicron CX is specially designed for today’s big, complex vehicles, where higher cranking power is a must. Personal watercraft, snowmobiles and ATVs make special demands – and YUASA’s YuMicron Battery meets them head-on. The high-tech, power-boosting design also makes YuMicron ideal for accessory-laden touring bikes and modified vehicles.